This artist rendering depicts a new $59-million facility in Scarborough planned by Maine Medical Center. Portland-based Maine Medical Center is planning to build a new $59 million facility in Scarborough, where the state’s largest hospital will house brain, spine and vascular surgery practices. 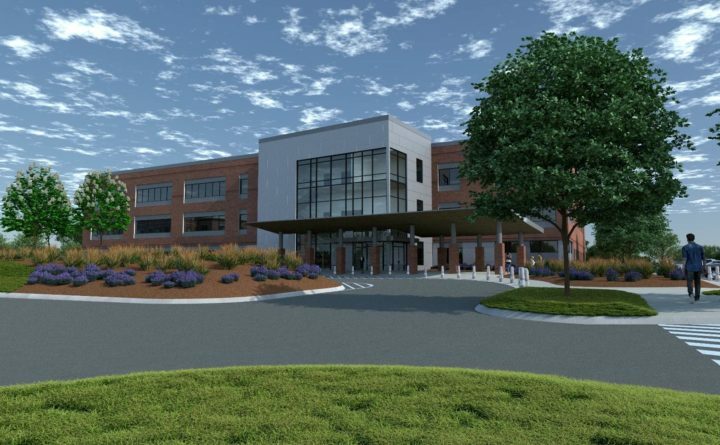 The 108,000-square-foot, three-story building will be located on a campus that already includes the Scarborough Surgery Center, Maine Medical Center Research Institute and MaineHealth Cardiology, among other things, the hospital announced in a Thursday news release. “This investment marks the next stage in our development of the Scarborough campus as a regional center for specialty medical care that is convenient for our patients, with easy highway access, ample parking and state-of-the-art facilities,” said Maine Medical Center President Jeff Sanders in a statement. The Scarborough facility is part of a larger $534 million hospital-wide expansion, which includes significant changes to the downtown Portland hospital, including the addition of two new floors of oncology care rooms, expansion of the visitor parking garage, construction of a new staff parking garage and a new six-story medical building on Congress Street. The Scarborough building will house Maine Medical Partners practices including those focused on: Neurology; neurosurgery and spine; ear, nose and throat; and vascular surgery.